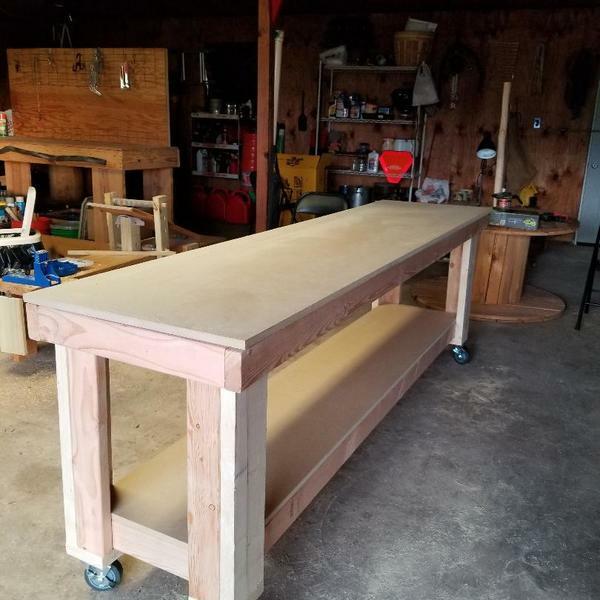 This is my first "Shanty 2 Chic" project and my first build from the ground up! I have re-purposed some furniture pieces, but nothing from scratch! 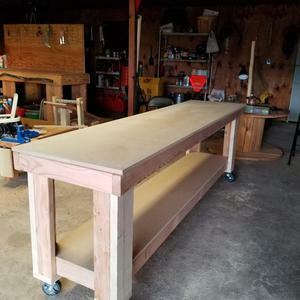 This is the DIY Workbench for my shop. I was able to use my new Ryobi miter saw! Love it! 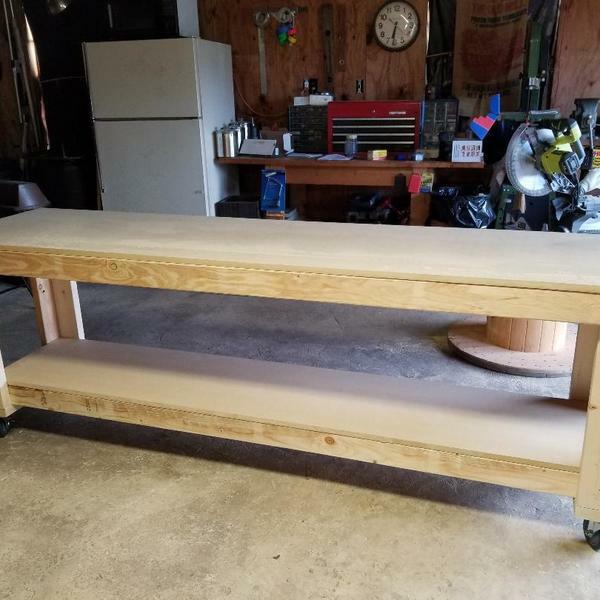 I am encouraged and thank the Shanty sisters and Ryobi for making my first build (pretty) easy! I look forward to many more! This bench is awesome! We like the extra length for more work space!